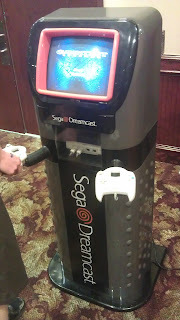 The format was the same as last year where multiple vendors set up booths in an oval shape so there were tables of video game goodness on both sides as you walk around the floor. Unlike last year though a section was added that allowed attendees to walk behind the center wall of vendor tables to view more things. While it appeared to have more content than last year, there wasn't as much “must buy” content available. Some of the really cool and rare items were only brought in to display and show off a “ha I have less than a life than you do” image. At least that is what I got from those display areas. I know that the main point of this convention is to get people in and talk about/socialize about the entire video game industry; and it does that very well, but some of these vendors are coming from different states and traveling up to ten hours to get here. 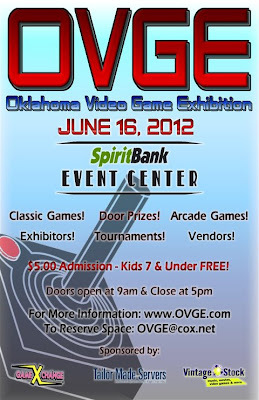 Add to it the fact Oklahoma doesn't get these type of events all the time and I was just a little disappointed in the lack of potential impulse buy availability. 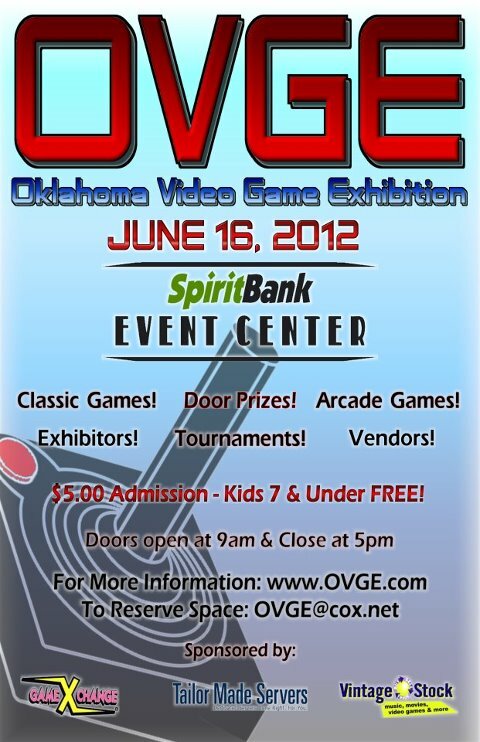 Another great aspect to the Oklahoma Video Game Expo is the arcade cabinets that line the entire back wall. These are ancient machines, I hear they use to be all the rage in the 80's and partway through the 90's. They are free to play and several of them offered co-op or vs opportunities (side note I was fairly awesome at the games, winning a hefty amount of games against my friend). My friend and I played SNK vs. Capcom (I handily won these matches), Street Fighter II Championship Edition (fought about even, I think he had the edge on me here though), we played through some of Gauntlet on a Sega Dreamcast kiosk system (we got stuck), we took turns playing Donkey Kong Junior where I started out better than him, but he ultimately schooled me here, of course the reverse happened on an arcade cabinet for Pengo (I was awesome at that game). Gauntlet was fun for about 15 minutes, after that it was just cool to game on this machine. Oklahoma vendors weren't as represented this year as they were last year. 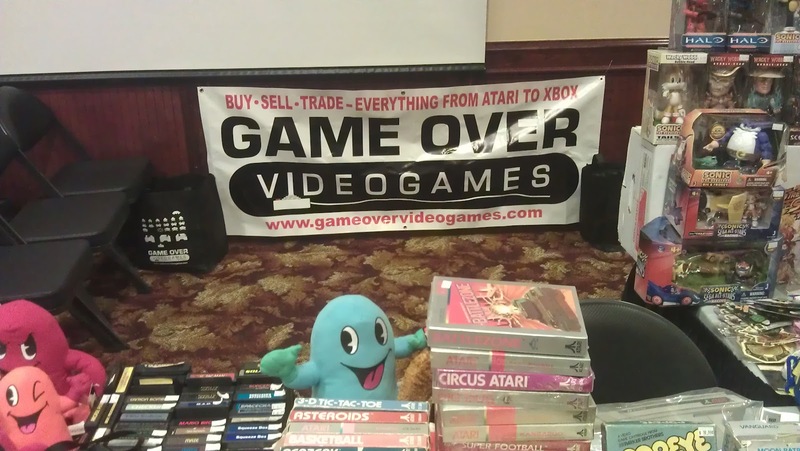 GameXchange and Vintage Stock had smaller booths and just didn't have the content to make showing up here really worth it (even though I don't visit their Oklahoma based stores as much as I use to, they didn't have anything I haven't rejected buying in the past). The guys from Nintendo Okie were on hand and they had a few rounds of their usual trivia offering (I attempted it last year, but did not try this year). 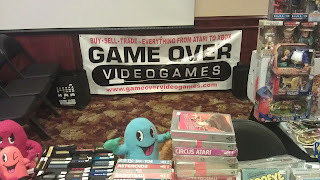 Texas vendors appeared to have expanded their presence at this years event (Game Over Videogames, but the OK state had a new rookie in the wings, All Your Base. From what I can tell this will be a store I will attempt to frequent as much as possible. 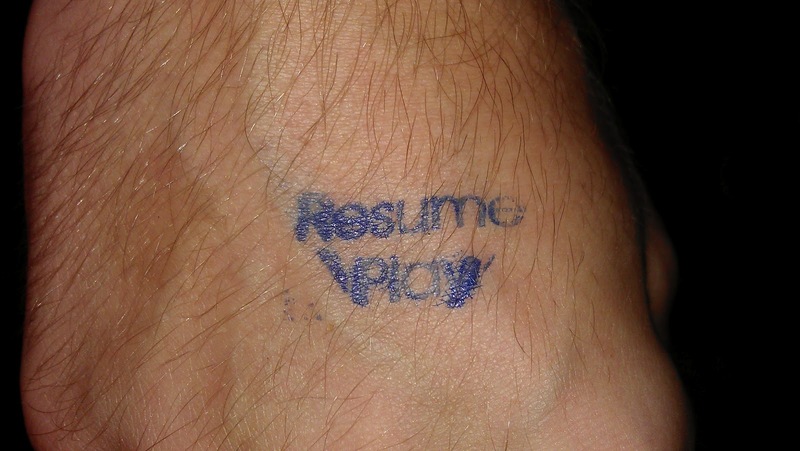 Had a decent talk with the guy who I believe is the owner or possibly lead manager for GameOver Videogames. Seems to be a very passionate gamer who told me the business in Texas is growing. Unfortunately, the expansion isn't placing a store in the state of Oklahoma, hopefully sometime in the near future that will change. Outside of the video game vendors showing off the games they bought (and looking to sell most of) there was also Brett Weiss who is the author of a few video game history books and he had his newest book on display at OVGE. My friend was able to get a lengthy chat in with him last year, but we weren't able to talk with him this year. The attendance for the event must have increased substantially from the previous few years. As I wrap up here is a link to my Google Plus page which has all the pictures that I took while my friend and I were there. Overall summary time! I would say this year had more content than any previous time I've went to the expo, but I walked away without buying anything. Maybe I just have purchased my “must own” items already and nothing from OVGE enticed me enough to say I need this too. Who knows really; ultimately I had a great time with my friend exploring and playing those old arcade games from a time long passed. I'm excited to see what might be in the cards next year. Could the content size increase again? More vendors? More Exhibitors? More tournaments? I hope for all of the above and more. Have a great day and I hope you enjoyed the long read. I believe our SNK vs. Capcom matches were closer than you think. You had two victories compared to my one. I will concede that you did better at practically everything else though. I thought that was Street Fighter II: Championship Edition.